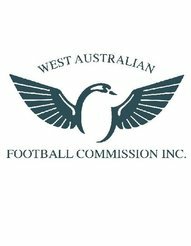 The West Australian Football Commission (WAFC) is the peak Australian Rules Football body in Western Australia and is the caretaker of football throughout the State and responsible for the overall development of the game. The WAFC is a not for profit organisation that plays an important role in funding the on-going development of football in all communities. In 2018, the West Australian Football Commission is establishing an independent Community Football Tribunal to hear contested Reportable Offences from Junior and Senior Community Football leagues across the Perth Metropolitan area. The WAFC seeks to establish a tribunal secretary role to assist with cases throughout the 2018 season. The Community Football Tribunal will provide football stakeholders with a fair, clear and independent process in determining an appropriate penalty for committing Reportable Offences. To appropriately service competitions across Perth there will be four tribunal locations each week based around Mandurah, Southern Suburbs, Northern Suburbs and Inner City. Tribunal Secretary will be required to be available weekly to act as Secretary to a Tribunal which will take place on Wednesday nights between 1 April and 30 September 2018 and attend an induction prior to the commencement of the football season. • Possess sufficient knowledge and experience of Australian football, as determined by the WAFC. • Be available on Wednesday nights on a weekly basis.